Q's slot will be filled by Allan Quatermain, one of the characters created by an author, H. Rider Haggard. 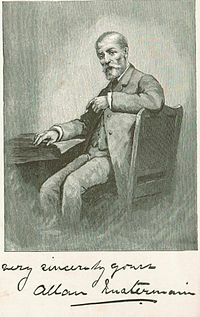 Protagonist of the 1885 novel, King Solomon's Mines and its sequels. 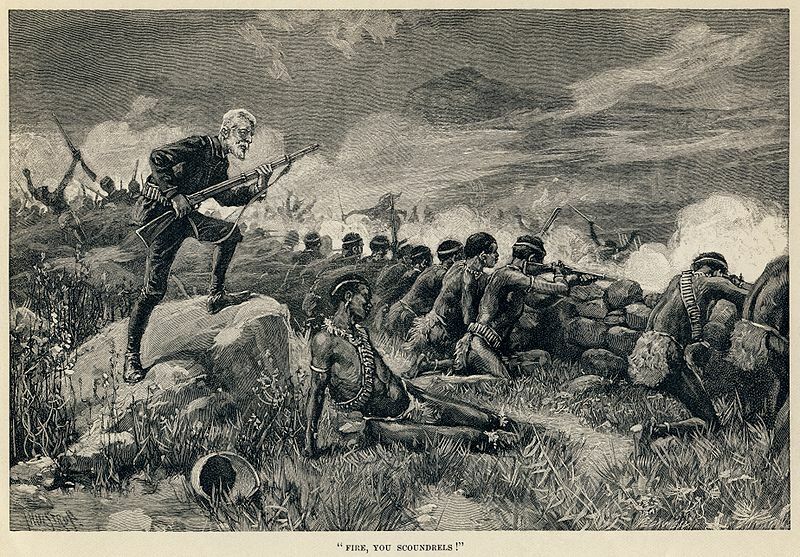 Quatermain is an adventurer and protector of the British Empire. . . The character Quatermain is an English born professional big game hunter and occasional trader in southern Africa. An outdoorsman who finds English cities and climate unbearable, Quatermain lives in Africa. He supports colonial efforts at civilizing the Dark Continent. He grew up here under the care of his widower father, a missionary. He is small, wiry and unattractive, with a beard and short hair that sticks up. His one skill is his marksmanship, where he has no equal. Quatermain enjoys his hunting less as he becomes aware that as a professional hunter, he is helping to destroy what he loved about Africa. Allan Quatermain first appeared in 1885 in King Solomon's Mines, by H. Rider Haggard. Haggard had been dared to created a character to challenge Robert Louis Stephenson's Treasure Island. So he did, creating one of the great adventurers and his Quatermain adventure novels. Quatermain was one of the templates for Indiana Jones, an American film character featured in Raiders of the Lost Ark, The Temple of Doom, and the Last Crusade. Indiana Jones is portrayed by Harrison Ford. 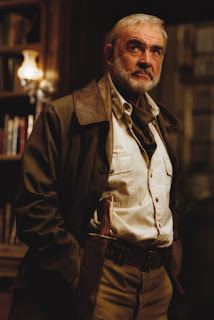 Quatermain is portrayed by Sean Connery, as seen in The League of Extraordinary Gentlemen. Actors who have played Quatermain (King Solomon's Mines) include Richard Chamberlain (1985), Stewart Granger (1950), and in 1937, Cedrick Hardwicke. Sean Connery played the role of Quatermain in the 2003 film,The League of Extraordinary Gentlemen, a story based on a 2001 comic book. Like Sherlock Holmes, Quatermain was bumped off by his creator but returned to life in later adventurers. Did you know who Allan Quatermain was or had you heard of him? Did you see The League of Extraordinary Gentlemen, or any other movie which referenced Quatermain? Comic version dialogue and narrative of League of Extraordinary Gentlemen. **Illustration from H. Rider Haggard's Maiwa's Revenge, Chapter VII, by Thure de Thulstrup. The scene shows Allan Quatermain ordering the men to fire, after getting them to wait until the most opportune moment. The author died in 1930, so this work is in the public domain in its country of origin and other countries and areas where the copyright term is the author's life plus 80 years or less. The only Allan Quartermain I remember is a character on General Hospital in the late 70s and 80s. That is another character (not the same of course) mentioned in Wikipedia as having a similar spelling of the name (maybe he was named after the fictional adventurer or casting just liked the name. . .). I did know who Alan Quatermain was and I did see The League of Extraordinary Gentlemen (which I thought was pretty horrible). TLOEG was slightly cheesy, but I enjoyed seeing the playoff between the characters and I like Sean Connery in any role he plays. . .didn't care for the changling Dr. Jekyll much when he did the switchover. I learned of him first via The League of Extraordinary Gentlemen, and liked Sean in the role. I thought he was an immortal, but now I think I'm confused. Ha, ha, now I have to look it up! Well that's news to me about him being immortal, but he is Immortal in the Highlander role (there can only be one). Excellent, thanks for passing on that tidbit of information, Yolanda! I appreciate you verifying the info. I love the name Quatermain. So sophisticated. Great post. Thanks so much for all your hard work and for sharing it with us. Your kind words are appreciated, Nicola! I've been posting them quite late after hubs goes to bed. I'll catch up my sleep in May. . .
Ahhhh, a truly romantic and inspiring character. There was also a movie of KING SOLOMON'S MINES with Stewart Granger as Quatermain. Everything about than name evokes adventure! Jo Jo took the words right out of my mouth. I saw Allan Quartermain as your Q and nearly snorted. He was a very prominent character on General Hospital beginning in the 70s. I think he died (on the show) in the early 2000s. 40 years on a soap opera makes one memorable. Very creative take on Q as you said, and also very romantic! Anything with Africa will have me hooked of course. Will check if Gutenberg has an online copy!